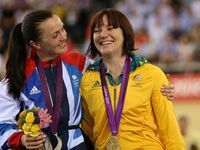 AUSTRALIAN Anna Meares has beaten her arch rival, Great Britain's Victoria Pendleton, for the gold medal in the women's sprint. The two combatants have a long history of tough, close encounters, but the Australian was too good in the showdown, needing only two races from the best of three sprint. Meares won the first sprint after Pendleton was sensationally relegated for crossing the sprinter's red line just before the finish. 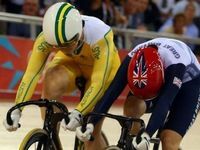 The second race was a cagey affair, with Meares setting a pedestrian pace and forcing Pendleton to make the first move. 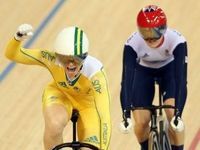 Taking the bait, Pendleton jumped out to the lead, but the British hope did not have the speed, Meares swallowing her up and claiming Australia's first track gold medal at these Olympics. "I lived a dream tonight," an emotional Meares said. "I've never felt so a heavy burden of failure. "(But) tonight is the result of 3-4 years of planning." 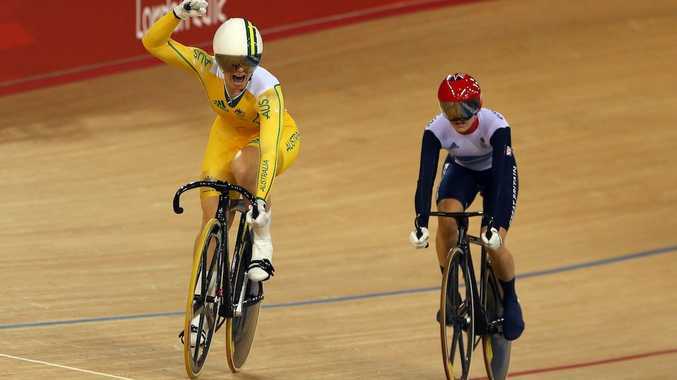 On her tactic in the second sprint, Meares said she waited until fortune opened the path to a gold medal. "You see an opportunity and take it ... I was yelling under my breath 'go!'." China's Shuang Guo claimed the bronze after defeating Germany's Kristina Vogel in the other race.